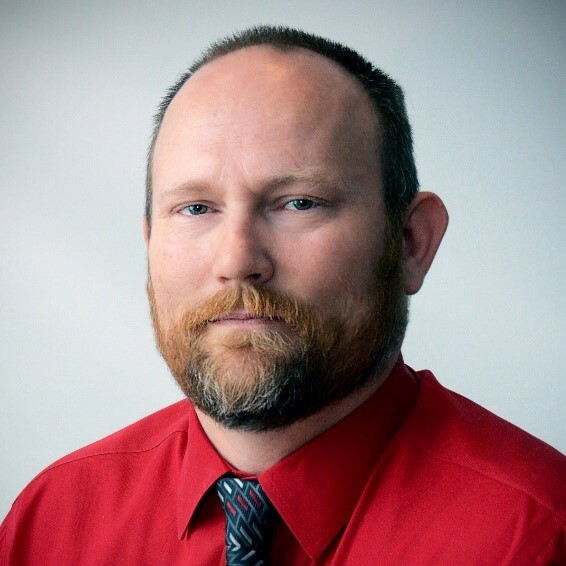 Estrella Mountain Community College (EMCC) adjunct professor Lyle Dillie knows all about sacrifice. The Army veteran has completed two tours of duty in Iraq and Kuwait. To acknowledge the sacrifices U.S. soldiers make, Dillie, with the help of other artists and EMCC students, created a video art installation project several years ago. The piece, titled “A Soldiers Burden,” was on display at the Veterans Services booth at the Exploring Possibilities Education & Career Discovery Expo Feb. 1 and 2 at the Phoenix Convention Center, 333 N. Third St. The Expo was sponsored by the Maricopa County Community College District (MCCCD). 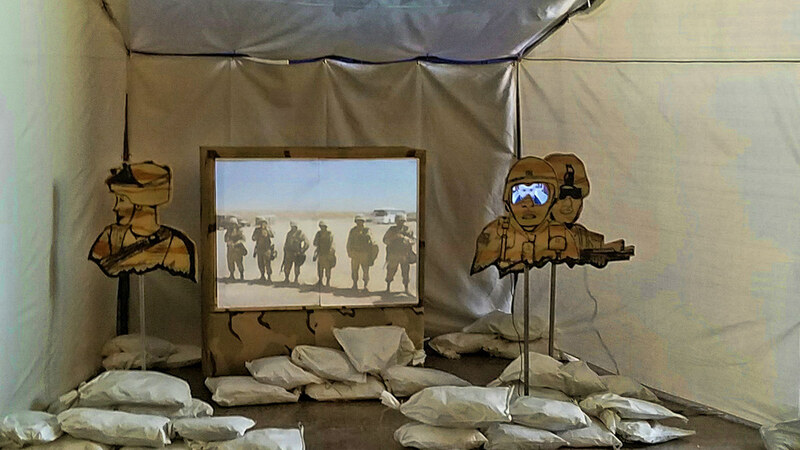 The video art installation includes a slideshow of photos along with audio and music “that helps encompass the viewer into the space, into Iraq, Afghanistan, where these soldiers were,” Dillie said. The slideshow is displayed on a 60-inch television, which sits behind three busts of soldiers. One is in the front and the other two are slightly behind on either side, symbolizing unit cohesion, while at the same time depicting two soldiers watching the back of another while he looks at pictures of his family and friends on his iPod. “So even though he’s surrounded by Iraq with the music, the videos in the back, he still has that picture, that thought of his family still in the back of his mind, even though he’s totally surrounded by this completely foreign environment,” Dillie said. Dillie’s squad was sent to the Middle East just after the initial invasion in March 2003, he said, explaining they set up communications at the border crossings between Iraq and Kuwait. Dillie, who teaches Adobe Illustrator and Adobe Animate, hopes his art project will help the college district promote the arts and veteran needs. The adjunct faculty member, along with many of his students who helped create “A Soldiers Burden,” were at the Expo both days. The Expo featured more than 40 businesses and nonprofit organizations and more than 90 degree programs.